Valentine’s Day comes along at the perfect time of year to plan your next romantic trip. I’ve been searching for some novel inspiration to take you to the hottest romantic destinations this year. 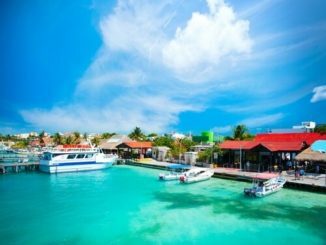 One of the hottest romantic spots and excellent value with lots of packages from Ireland is Mexico. So I’ve found a delicious read infused with Mexican recipes and mouthwatering delights. 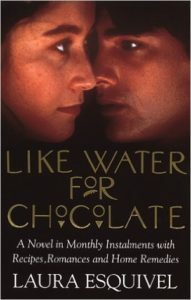 Published in 1989 this novel by Mexican author Laura Esquivel was made into a movie by Miramax. I downloaded it over the weekend and was whisked away to Latin America. The book tells the story of a young girl named Tita who longs to marry her lover, Pedro, but cannot because of her mother’s upholding of the family tradition of the youngest daughter not marrying because she has to care for her mother until the day she dies. Tita is only able to express herself when she cooks and she has to watch as her sister marries the man that she loves. Esquivel writes passionately and uses magical realism in way that other Latin American Authors like Gabriel Garcia Marques write so beautifully. Home to the Aztecs and the Marguerita there’s plenty of culture on offer in Mexico and of course fabulous food and glorious beaches.I picked up some nice pieces of jewellery and art too. 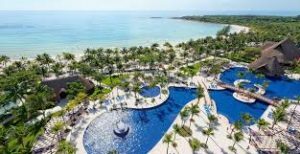 Los Cababos and Cancun are popular with Irish holiday makers and especially honeymooners so I’ve rooted out some packages direct from Ireland. Make sure to go to a member of the ITAA www.itaa.ie when looking for a package for your special trip. Closer to home, one of the most romantic cities is Paris and I suggest watching a movie to take you there…Before Sunrise is one of the most romantic movies I’ve ever seen and it is about a couple who meet on a train but decided to get off at the same stop to spend one day together in Vienna. A day that will change both of their lives. Ten years later the couple meet again in the sequel Before Sunset in beautiful Paris and the couple explore there love again as they wander through this wonderful city, perfect for lovers! But if you want to know if they ever get it together then you will have to watch the two movies and there’s a third in the set called Before Midnight where we get to see if they stay together! Ethan Hawk and Julie Delpy star in this trilogy. Surprise your loved one this Valentine’s Day with this great offer in the most romantic city in the world! 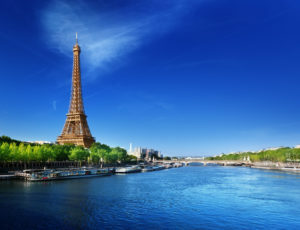 Enjoy the majesty of Paris’s world-famous landmarks on River Seine cruise including tasty three-course lunch. 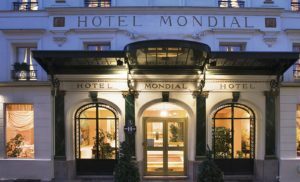 3 night break staying in 3* Mondial Hotel. It’s not too late to book the perfect Valentine’s getaway for you and your loved one. With a myriad of world renowned art, stunning walks and tempting gastronomy, Paris has certainly earned its title as the ‘city of love’. Couples could take a trip to the top of the Eiffel Tower and take in the glittering city skyline or pay a visit to The Garden of Hopeless Romantics to share a world-famous ice tea. 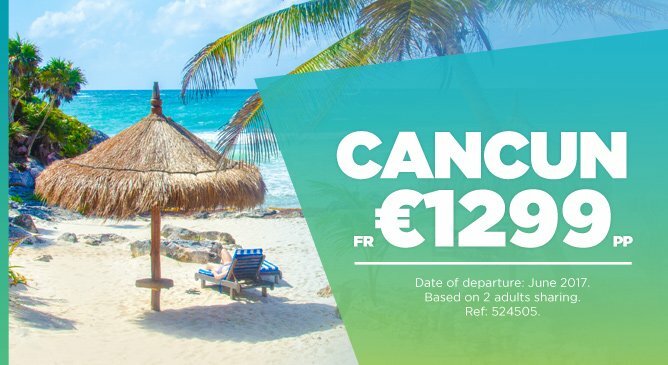 PRICE: From €306.71 per person for two nights’ accommodation at the Moulin Plaza Hotel, including return flights from Dublin. Valid for arrival on 13th February 2017. 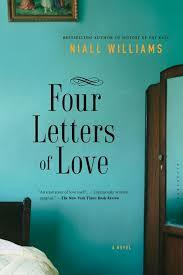 One of my favourite love stories set in the West of Ireland is Four Letters of Love by Niall Williams and if you would like to be whisked away to the gateway of the west then The Twelve Hotel has a special offer. 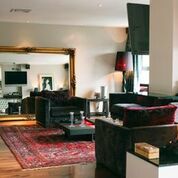 The Twelve boutique hotel in Bearna is always full of surprises and has a fun and quirky take on the world. It’s no surprise then that their attitude to romance is as generously dramatic and over the top as their approach to everything else! Sweep your significant other off their feet this February with a typically tantalising Valentine’s Lovebomb Surprise package from The Twelve – a loved-up treat, packed full of 12 different romantic elements. Beginning first with a gorgeous guest room, with petals strewn across the bed, there are also two boldly red iced muffins from the Pins Bakery, a delicious packed picnic perfect for a romantic stroll, a candle-lit dinner in lovely West, pampering in-room spa treatments and a seaweed bath, Love Potion cocktails in The Pins bar, a discount gift voucher for Hartman’s Jewellers (just in case the need to drop to one knee suddenly presents itself! 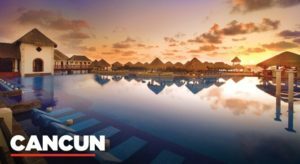 ), a wrapped rose on checkout, early check-in and late check out, a coffee voucher each from the onsite bakery…And number 12 of the romantic notions squeezed into this Lovebomb package? Well that’s the wonderful Twelve itself and all that it entails! 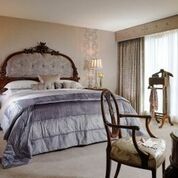 This ultra-romantic overnight package is available on February 14th at a cost of €470 per couple. There’s nowhere quite like it, and no-one does romance like them either, so lovebomb your partner with a Valentine’s Lovebomb Surprise from The Twelve! Nothing says romance like candlelit meals, rose petals, chocolate and long lazy mornings spent in the company of the one you love. This Valentine’s The Rose Hotel in the heart of the Kingdom have combined luxury with their warm and welcoming surroundings to give you a weekend of romance and indulgence. The charming Valentine’s Package give you the option of one or two night’s accommodation with a freshly prepared breakfast each morning. On one evening of your choice you and that special someone can exchange lingering glances over a specially designed 5 course His & Hers candlelit dinner in the elegant surrounds of The Park Restaurant. In your room, some romantic surprises await you including rose petals, delicious chocolates and wine to raise a glass to true love. On your final morning, finish off your romantic break with a leisurely lie in as all Valentine’s guest can avail of a 1pm late check out. 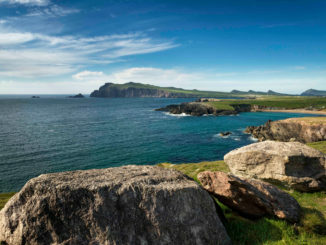 For rambling roses, The Rose Hotel is the ideal base from which to explore The Kingdom’s exquisite scenery, from local Blue Flag beaches on the Wild Atlantic Way, to Dingle Peninsula, the Ring of Kerry and Tralee town itself. Get on the water in Ireland or Europe!